The Glad Ostensen family in Gjerdrum, Norway. 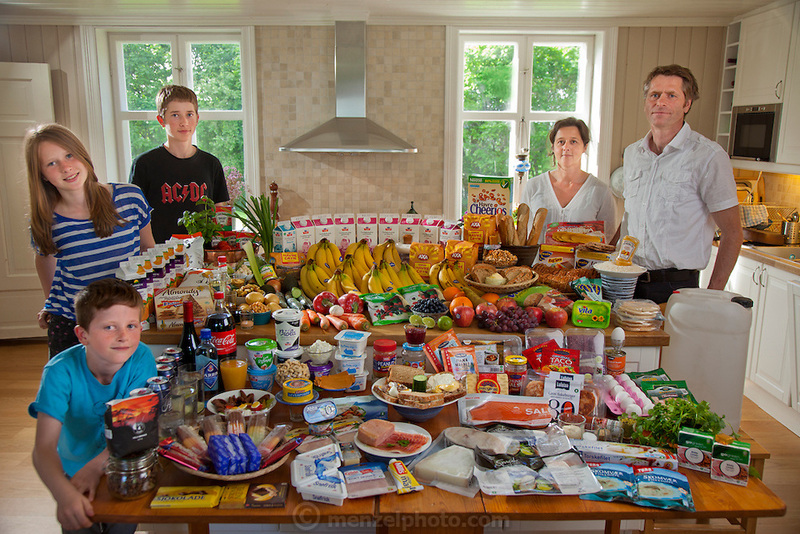 Anne Glad Fredricksen, 45, her husband Anders Ostensen, 48, and their three children, Magnus, 15, Mille 12, and Amund, 8 with their typical week's worth of food in June. Food expenditure for one week: 4265.89 Norwegian Kroner; $731.71 USD. Model-Released.